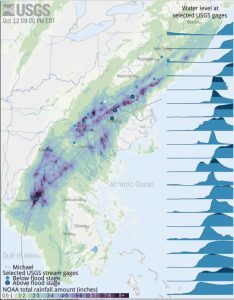 Here’s an interesting timelapse graphic based on USGS data which shows the time evolution of rainfall from Hurricane Matthew and the resultant flooding in rivers up the East Coast. You can view it at Reddit here. Previous: Are you ready for some cold weather?